“For he [Yeshua] himself is our peace, who has made the two groups one and has destroyed the barrier, the dividing wall of hostility, by setting aside in his flesh the law with its commands and regulations. His purpose was to create in himself one new humanity out of the two, thus making peace …” (Ephesians 2:14-15). Many Christians believe that the ‘dividing wall’ that Yeshua destroyed is the Torah, the instructions of God found in the first five books of the Bible. The Torah is NOT, nor ever was, the ‘barrier wall’ destroyed by Messiah. 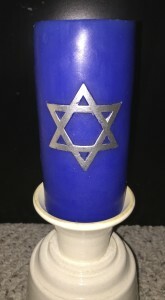 “Setting aside in his flesh the law’, he destroyed the regulations that separated men and women, Jew and gentile, and slave and free from worshipping the God of Abraham together in Spirit and in Truth as proscribed by the Torah. The Western Wall area (the Kotel) still has dividing walls today. There is an ‘outer court’ barrier between those who are just visiting as tourists (in the foreground) and an ‘inner court’ barrier between men and women (down the center). And according to some manmade regulations, reading a Torah scroll by women is still forbidden. When I was at the Western Wall on the Sabbath, I wondered why the men were dancing in circles and praising God with loud voices, but the women were not. I asked some young women who were studying at a yeshiva (school for religious study) in Jerusalem. I was told that ‘only men dance’. I asked why they could not praise God through the dance. Were they not joyful too? It was the Sabbath after all! They didn’t know the answer. Fifteen minutes later these same women had a circle within a circle within a circle of 50-60 women dancing while singing the Psalms from their prayer books. I joined one circle with a Swedish woman and we listened to these women’s voices beautifully harmonize the Psalms in Hebrew. Together as women, Jew and non-Jew, we worshipped just like the men (and my husband was dancing with them). This is the ‘one new man’ for which Messiah gave his life. This is the unity of worship the God of Israel desires between His chosen people and the nations. This will be the testimony of Messiah for the world. 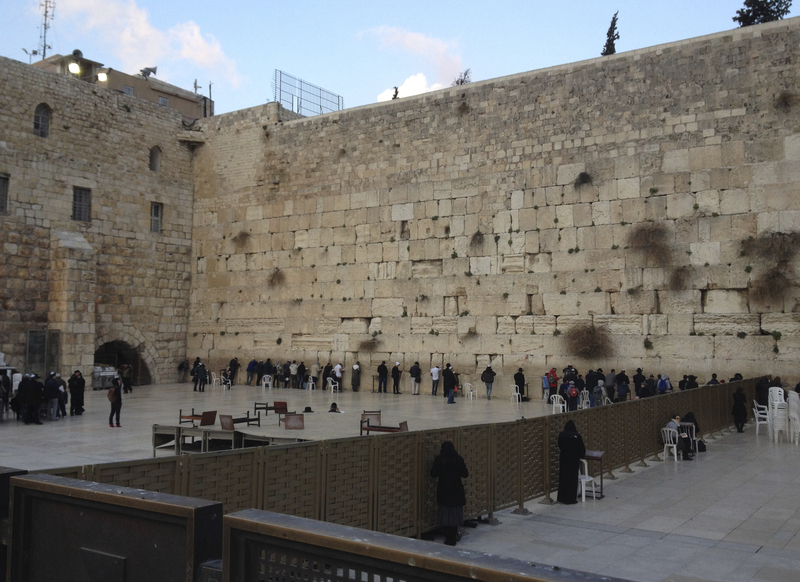 We visited the Kotel multiple times during our visit. We noticed that most Christian tourists, who most likely believe the ‘dividing wall’ was destroyed by Messiah, actually stay behind the ‘outer court’ barrier rather than approach the Wall to pray with and for the literal brothers and sisters of Yeshua, the lost sheep of the House of Israel. By remaining behind the barrier (and taking photos), these believers effectively still believe a barrier exists and lose the opportunity as the nations to make Israel envious for their own Messiah. I will never forget my Sabbath experience dancing at the Western Wall because through discussing dancing with those young women, I also had the opportunity to talk to them about Yeshua, the very reason they should be joyous on the Shabbat at the Western Wall. Their salvation has come! “There is neither Jew nor Gentile, neither slave nor free, nor is there male and female, for you are all one in Messiah Yeshua” (Galatians 3:28). “It is not enough that you are merely my servant to raise up the tribes of Ya‘akov (Jacob) and restore the offspring of Isra’el. I will also make you a light to the nations, so my salvation can spread to the ends of the earth” (Isaiah 49:6). 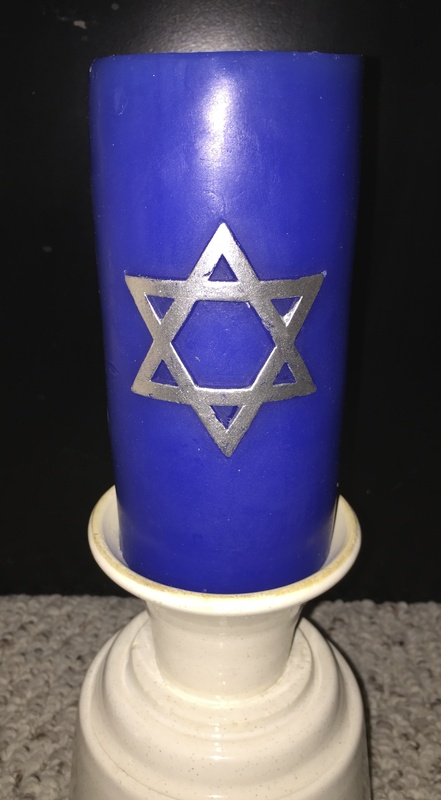 In order to be a light to the nations that would bring salvation to the world, the Jewish people had to stand against assimilating into the idol worship being forced upon them by the Syrians. They could not allow the culture and customs of a different religious system to infiltrate and destroy their Biblical heritage within the Torah and the promises of God to their fathers Abraham, Isaac, and Jacob. When it did, they fought against it with their lives. “When you enter the land Adonai your God is giving you, you are not to learn how to follow the abominable practices of those nations” (Deuteronomy 18:9). Each of us as believers in the Messiah of Israel need to be a light in the darkness of this world. We cannot assimilate into any culture or embrace customs that are contrary to Biblical truth. Since 300 CE, the assimilation of pagan practices into the pure faith of the prophets and apostles has slowly taken place. This mixing of the holy and the profane has created a lukewarm faith; a faith that doesn’t bring the hope of salvation to the world, but an ideology that not only the world rejects, but Messiah will vomit out of his mouth. Because we are unwilling to use the whole Bible, from Genesis to Revelation, for an outline of holiness in our lives, a great deception has taken place and a lawless gospel has taken root. The ‘man of lawlessness’ has been set free to set up his final ‘abomination of desolation’ in a temple in Jerusalem. “Let no one deceive or beguile you in any way, for that day will not come except the apostasy comes first [unless the predicted great falling away of those who have professed to be Christians], and the man of lawlessness is revealed, who is the son of doom (of perdition), who opposes and exalts himself so proudly and insolently against and over all that is called God or that is worshiped, [even to his actually] taking his seat in the temple of God, proclaiming that he himself is God” (2 Thessalonians 2:3-4 Amplified Bible). 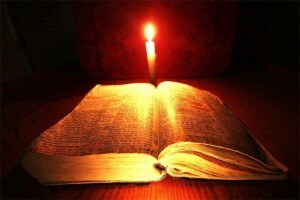 “Your word is a light to my path and a lamp to my feet” (Psalm 119:105). Each of us must be willing to acknowledge the contamination that has entered our hearts and minds and take the necessary steps to cleanse and purify our spiritual temples from that contamination, whether physical or spiritual. We must search for the idols on the altars of our lives and remove them, even if it is painful and contrary to everything we have ever known. Each of us must wholeheartedly embrace a Biblical faith that includes an obedient life to the commandments of God that shows we love Yeshua, the Light of the World. “Therefore the LORD says, “‘Go out from their midst; separate yourselves; don’t even touch what is unclean. Then I myself will receive you. In fact, I will be your Father, and you will be my sons and daughters.’ says Adonai, the LORD of Hosts”. Therefore, my dear friends, since we have these promises, let us purify ourselves from everything that can defile either body or spirit, and strive to be completely holy, out of reverence for God” (2 Corinthians 6:17-7:1). Until the next Feast of Dedication, “Pay careful attention to how you conduct your life — live wisely, not unwisely. Make the most of every opportunity, use your time well, for these are evil days” (Ephesians 5:15-16). You are currently browsing the Tentstake Ministries blog archives for the year 2015.